I had won this in a Maybelline competition and was surprised at the shade when I had received it as I never knew what the actual shade was. A hot pink is how I would describe it, slightly on the neon side. Bright, loud and definitely bold are the correct words to describe this. I believe this is in the Vivid collection and as the name suggests, it does what it says. 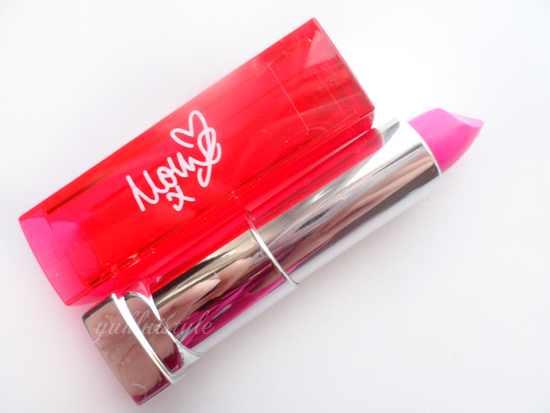 It’s cute how Mollie has signed this as this is her favourite shade, thus being a limited edition and I don’t think it is available but the shade is. It looks fabulous on her but terrible on me. Having neutral to yellow undertones, the blue based, cool undertone lipstick didn’t compliment it well. This is very pigmented and covered my natural lip colour without having the need to keep swiping more than once as you may with many lip products. What you see on the lipstick is exactly what you get on your lips which can be quite rare. It had glided on well and wasn’t drying whatsoever. If this is what the rest of the Maybelline Colour Sensation lipsticks are like, I may have to explore the overall range. With its creamy formula, it leaves a nice sheen. I cannot comment on the lasting time as I had wiped it off right after photographing it. There is an artificial smell to these. Similar to Play Doh mixed with vanilla maybe? Quite off putting to be honest. If you are into the hot pink shades, you will love this. Unfortunately this isn’t the one for me. 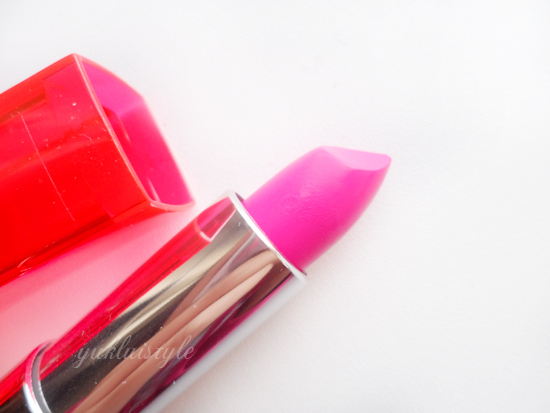 Have you tried any Maybelline Colour Sensation lipsticks? I love that lipstick, it's one of my favourites! It's a gorgeous colour. Shame about the scent, that puts me off maybelline in general. This lipstick looks really beautiful. I love the color! I wonder if it's available in PH. I like to have a variety of colors in my lipstick collection. I know you're not a fan but the lippie from Maybelline looks fab on you! Killer color!! I love this shade, it's so flattering on you!! 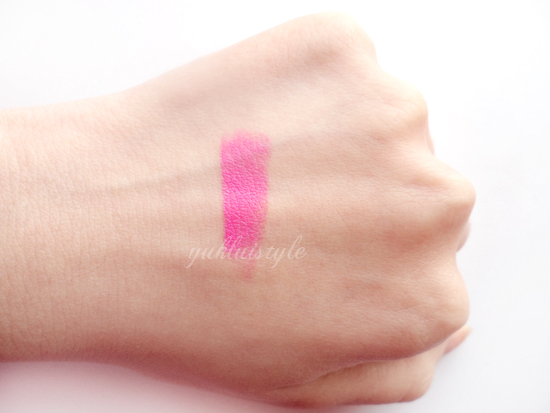 this is such a cute shade, urban and very trendy…but it doesn't fit to me at all. i love this shade and i want to buy one but i'm wondering if this will match my morena skin. Yay thanks for this! Will try asap! 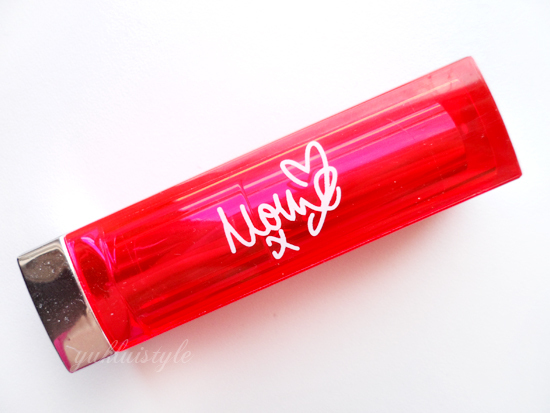 I haven't tried this lippie yet, You got a really pretty shade, the packaging is nice too! Such a shame, looks so lovely on you though! I love this colour. Perfect to brighten up these grays days! oh i love this hot pink color! and its so pigmented!! wonder when it will come to msia!!!!! I've heard a lot of good feedback with their Vivids line, this one is similar to candy yum yum by mac right? I love the color! The color suits you well! I love the packaging.